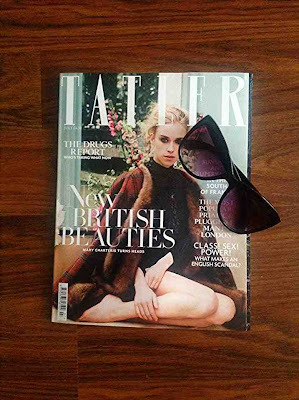 This month's issue of Tatler came with a gorgeous pair of designer sunglasses. There are 5 colours to collect and I chose the black pair. 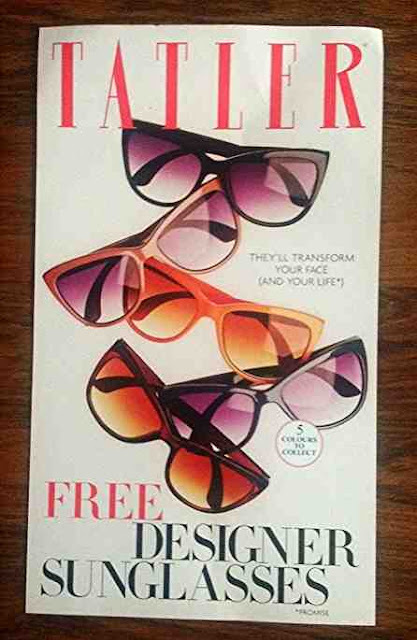 They're all really cute, I just wish the sun would come out so I could wear them.